This Leopard Print Slouch Bag Is Wonderful For Summer. 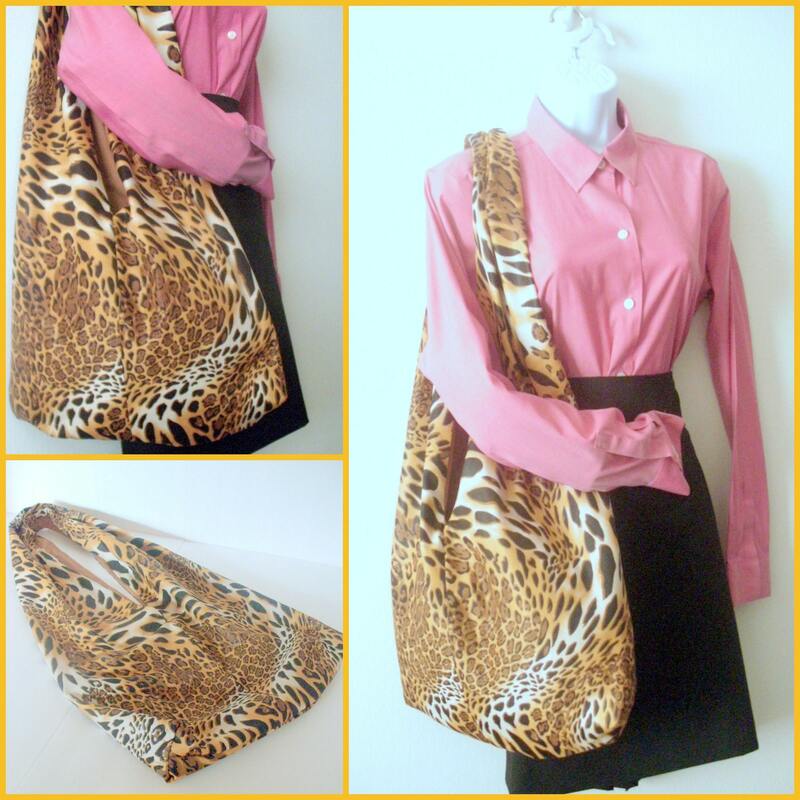 The bag features a beautiful exotic animal print with brown's, cream's, black and vibrant gold's. The inside is lined with brown cotton. It's Extremely roomy, stylish and perfect for toting around books, magazines,diapers, shopping and much more. Easily folds flat for traveling.